Michael Baldisimo has been on the radar of Vancouver Whitecaps’ first team coaches for a while now. The youngest of the three Baldisimo boys to come through the ‘Caps Residency program, the 18-year-old put pen to paper to sign a MLS Homegrown contract in July, becoming the sixth homegrown signing on the ‘Caps current roster. The deal was just the next stage of what’s already been a long journey for the young midfielder, who first joined the Whitecaps Residency system as an 11-year-old back in 2011, as part of the club’s U13 Pre-Residency team. 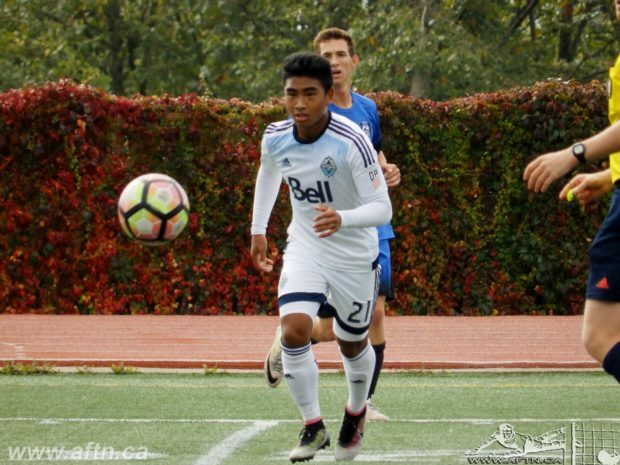 That journey has seen Baldisimo move up through the ranks of the Residency (now rebranded as an Academy for this season) into the Whitecaps USL side and now onto the first team. 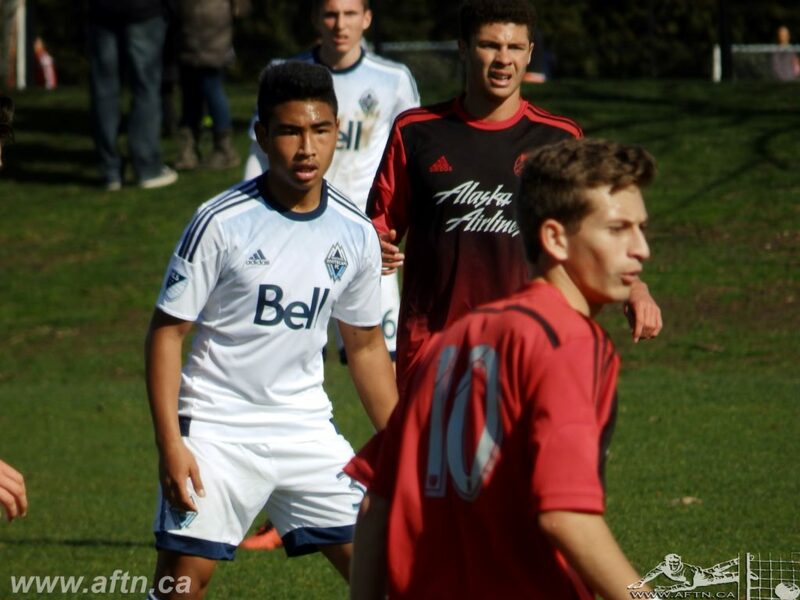 The Burnaby native still has a season of eligibility with the ‘Caps U19s, and will undoubtedly still see a lot of time down in the USSDA in the coming year, but will train, learn, and develop in the first team fold. Faced with the options of looking at heading down the college route or signing a MLS contract, there were a lot of decisions to be made about his next steps, but Baldisimo and his family feel he’s made the right choice. 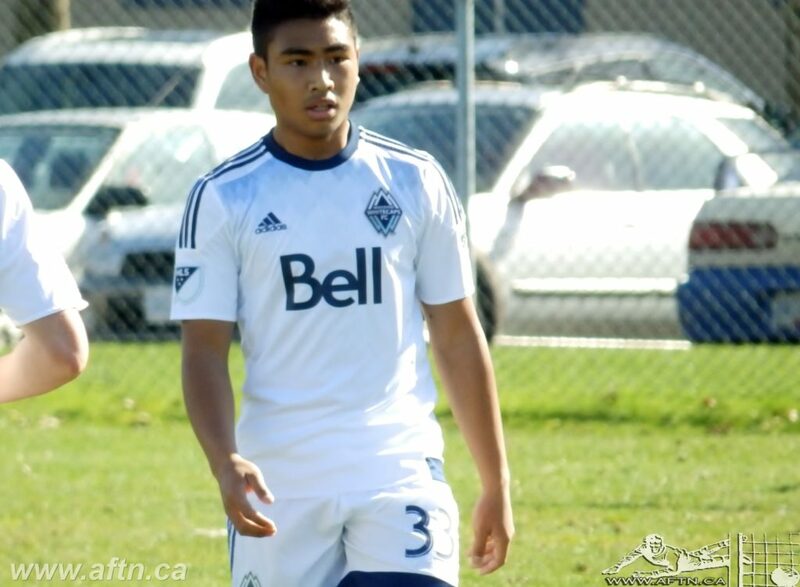 Baldisimo’s MLS deal was his second professional contract with the Whitecaps, after signing pro forms with WFC2 in March 2017 following an academy call up appearance the season before, and joining his brother Matthew on the squad. It was a great moment for the brothers, albeit it a brief one. At the end of the season the ‘Caps wound up their USL team, with Matthew moving down to new USL affiliate Fresno FC for the 2018 season and Michael returning to the Residency. After a season at the higher level, where he made 13 USL appearances, including six starts, it’s always interesting to see how a young player reacts to moving back down to the youth ranks. 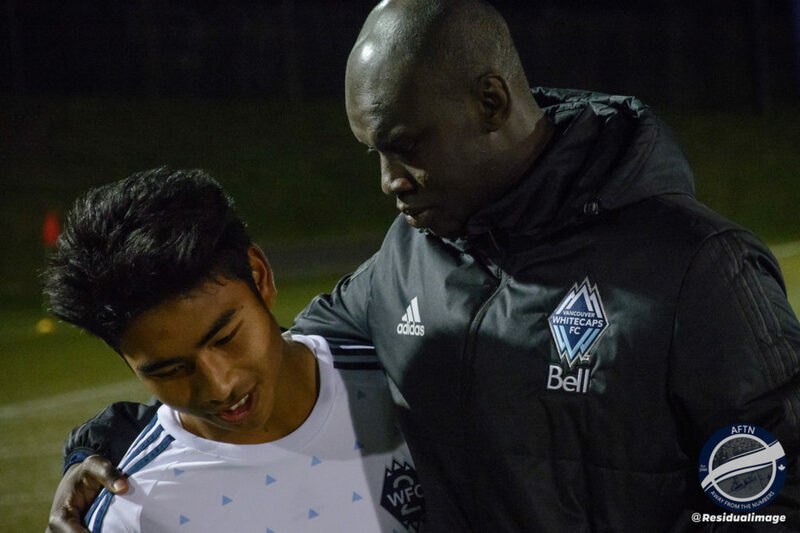 Their mentality and attitude when back amongst their peers is what the Whitecaps often see as a key aspect to their future interest, and they were delighted with Baldisimo’s response, as he helped guide the U19s to a USSDA semi-final appearance this past summer. For Baldisimo himself, he didn’t find the move back down difficult in the slightest, seeing it as a chance to develop his game further and take on a leadership role. “It wasn’t really,” Baldisimo said. “When I go back down it feels like I’m the leader in the group and kids look up to me, so it’s not that hard to adapt. I just try to be the best player on the pitch. The reward was a MLS Homegrown contract, along with Residency standout Theo Bair. The pair signed their deals in July, with Baldisimo joining the squad immediately and Bair officially taking his place next season. “I think the path that Alphonso’s taken is the dream for everyone,” Robinson told us after the pair signed. “Everyone will expect that they follow the same path, but that’s not the way football works. The next batch of youngsters we have in Theo and Mikey and Simon [Colyn], we think they have huge potential again. Baldisimo has been around the first team these past couple of seasons, spending the 2017 preseason with the MLS squad in Portland, and making one appearance off the bench in a 1-1 draw against Real Salt Lake in the Portland Timbers’ Rose City Invitational tournament. He’s regularly trained with the first team squad at UBC, so he knows them well already, and with a number of other Residency graduates with the team right now, he’s found it easy to fit in with all the familiar faces around, albeit even if the more senior ones can still be a little more daunting for him to talk to at times. It’s somewhat of a well worn footballing cliché, as we often say, but as rewarding as his Whitecaps journey has been so far, the hard work for Baldisimo really starts in earnest now. A fact he’s more than fully aware of as he waits for his chance to show what he can do on the pitch at the first team level. And it’s that waiting aspect of it that Baldisimo is working particularly hard on at this stage of the season. He’ll play in the USSDA, he’ll play with the ‘Caps new development team, but being around the MLS squad, yet removed from the actual action is one aspect he feels he has to fully embrace. You don’t want to heap too much pressure on any young player, although the transfer of Davies to Bayern Munich has likely increased that aspect on all MLS homegrowns moving forward, but depending on what path the Whitecaps see ahead for him next season in terms of loan deals, Baldisimo could easily find himself integrated into the Whitecaps first team plans. That’s the goal and that’s the dream for Baldisimo. But the ultimate one would be to take to the pitch with his brother Matthew in a MLS match. The pair did that in USL action, playing together 11 times, and on the field together eight times. They started together twice. Could we see that down the line in MLS?